In June, Tim & I rode 68 mi on the Virginia Creeper Trail, a rail to trail that spans 34 mi from Abingdon to Whitetop, VA. We stayed in Damascus, VA, the mid-point of the trail, at a quaint Airbnb “The Inn on Creeper Way.” Bike rentals & shuttles are available in Damascus but we took our mountain bikes fitted with skinny tires, perfect for the crushed limestone surface. Our inn was right on the trail so we began there climbing 17 mi toward Whitetop. (Many riders take a 30 min. 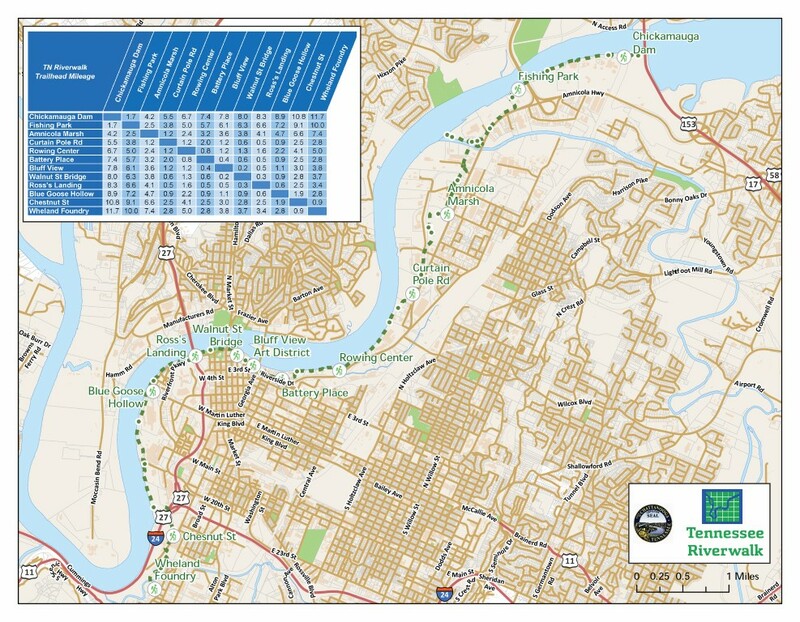 shuttle to Whitetop & coast the 17 mi downhill.) 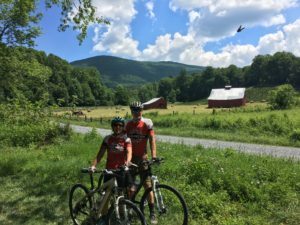 After riding to Whitetop and returning to Damascus, we headed toward Abingdon where there were fewer riders, and the landscape changed to trestles & farmland. I suggest riding the Creeper during the off-season or early in the day to avoid lots of novice riders. There were many water stops, one was Creeper Cafe home of the World Famous Chocolate Cake! 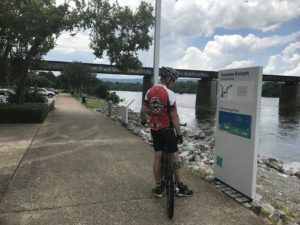 This entry was posted in Reviews, Ride Reports, The Right Side of the Road and tagged mountain bikes, Ride Reports, trails on July 9, 2017 by juliah.